A liberal-minded political party founded by ex-Chief Cabinet Secretary Yukio Edano has been sweeping its way through Japan’s Twitter community, amassing more than 100,000 followers in just a few days since its official launch on Monday. The number of followers attracted by Edano’s nascent party, the Constitutional Democratic Party of Japan (@CDP2017)), totaled 107,000 and counting as of Wednesday evening. It was fast approaching that of Prime Minister Shinzo Abe’s ruling Liberal Democratic Party (@jimin_koho), which stood at 112,000 as of Wednesday evening. The ruling party joined Twitter in July 2009. By comparison, coalition partner Komeito (@komei_koho) had 71,000 followers, the Japanese Communist Party (@jcp_cc) 32,000 followers and the Democratic Party (@MinshintoNews) 24,000 followers. Tokyo Gov. Yuriko Koike’s upstart party Kibo no To (@kibounotou), which debuted last week and roughly translates as Party of Hope, fared rather dismally at just over 3,000. It remains to be seen, however, how much the CDP’s rapid assembly of an online following reflects actual voter support. 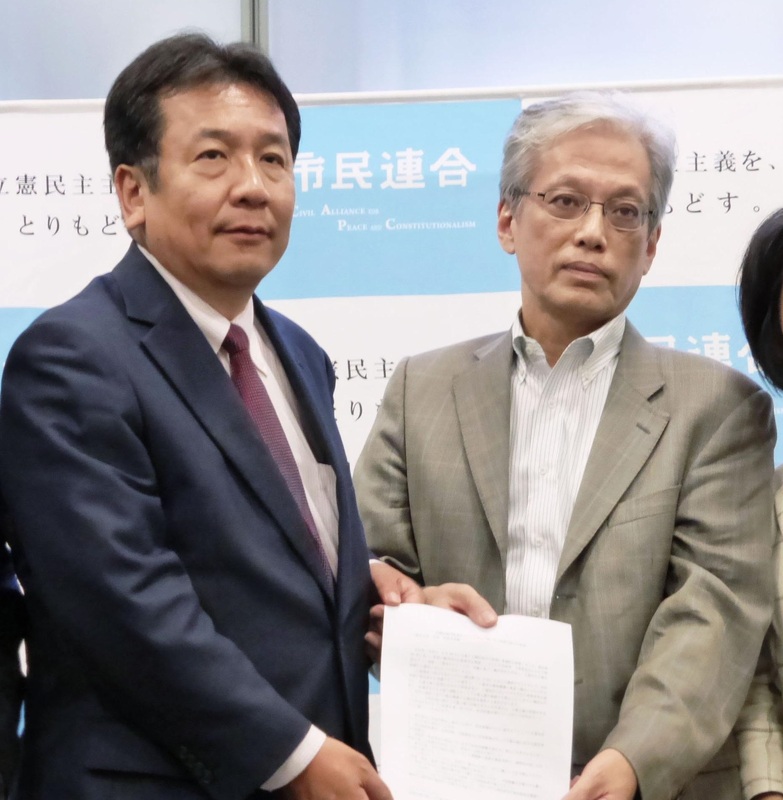 The CDP began tweeting just as Edano, a former DP lawmaker, officially announced the establishment of his new party at 5 p.m. Monday. Since then, the account has posted more than 100 tweets and actively interacted with voters, at times directly thanking them for their support. The friendly approach contrasts sharply with that of Koike’s Kibo no To, whose account, since its launch last week, has posted only four tweets. Edano is no stranger to internet memes. In 2011, then the Chief Cabinet Secretary, he found himself holding such frequent rounds of news conferences to update the public on the Fukushima nuclear crisis that concerned Twitter users concocted the viral hashtag #edano_nero (get some sleep, Edano!). Then last week, voters alarmed by the rise of Koike’s conservative party prodded Edano to lead a new liberal force by creating the hashtag #edano_tate (stand up, Edano!). 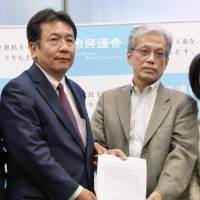 The CDP is a fringe opposition that Edano established following the DP’s effective merger with the conservative Kibo no To last week. Among the CDP’s ranks are DP lawmakers considered too left-leaning to qualify for Kibo no To membership. Edano, taking on both the LDP juggernaut and Kibo no To, has an “underdog charm” that resonates with many Twitter users, said Ryosuke Nishida, an associate professor at the Tokyo Institute of Technology who is well-versed in roles of the internet in politics.